Evergreen shrubs that thrive in soaring temperatures, feature colorful blooms and are tolerant to most pests are hard find. ‘Green Cloud’ Texas sage has all of these features, plus makes a wonderful focal point, hedge or foundation shrub in water-wise landscapes. Green foliage complements the one-inch magenta flowers that appear en masse just before a rainfall or when humidity is high. Because ‘Green Cloud’ can grow to full size in just two to three seasons, it makes an excellent specimen for commercial and public spaces looking to grow an established landscape quickly. In warm climates, it retains all of its foliage. In milder climates, expect up to 50% of foliage to drop in winter. While it does tolerate periods of drought very well, when given supplemental moisture through summer, foliage will grow more dense and flower more often. Plant in full sun for best growth habit. ‘Green Cloud’ is prone to root rot if planted in compacted soils. Amend beds with organic matter and expanded shale to improve drainage. Live in areas with high heat? 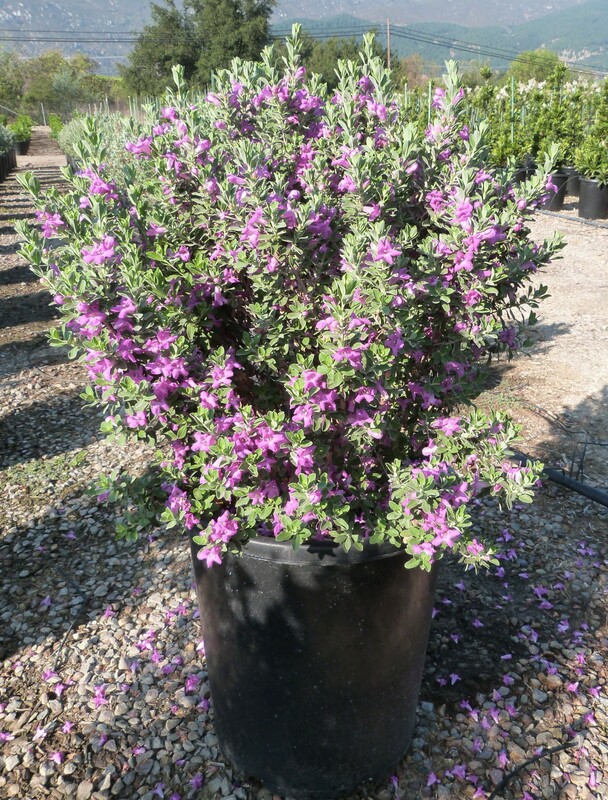 ’Green Cloud’ Texas Sage is a standout specimen that thrives in extreme conditions.